During this christmas season I’m sure many of you would be baking something for your loved ones. 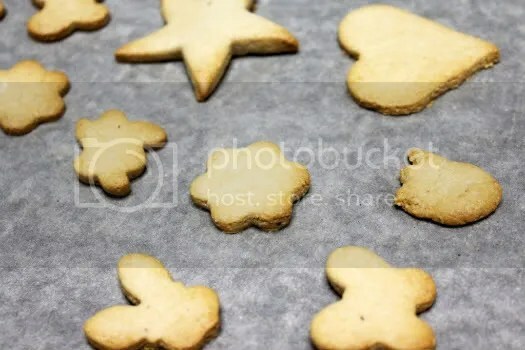 Cookies are perhaps one of the simplest to make and also one of the most sinful sweet treats since it usually involves so much butter. But Keiko Ishida in her book Okashi surprised me with a section called special recipes that are free of eggs, dairy, gelatin and refined sugar. Could these so-called healthier recipes actually taste good? So the best friend and I decided to give the hazelnut cookie recipe a shot albeit with slight modifications. We swapped ground hazelnuts with ground almonds, and for the sake of accuracy I decided to change the name too. 2. Combine the maple syrup, sea salt and oil in a bowl and mix well. Add the flour mixture and fold it all in with a spatula. Rub the dough quickly with your fingers until crumbly. 3. Refrigerate the dough for about 30 mins or just enough to get a dough that is not too soft. Sandwich the dough with parchment paper and roll out to a thickness of about 5mm. If you like your cookies nice and crisp, you might want to roll them out thinner. But if you like it soft like shortbread/butter cookies, roll the dough out thicker. The warm woody fragrance of the maple was unmistakable. It gets more and more addictive as you eat so control yourself when you are doing the taste test! My friend and I made some thicker and some thinner to get a good mix of crunchy biscuit-like ones and soft butter cookie-like ones. I adore the musky smell of maple syrup so the final results really appealed to me. Other recipes often have the butter/ sugar overpowering the maple syrup but in this case, there are hardly any distractions are there? 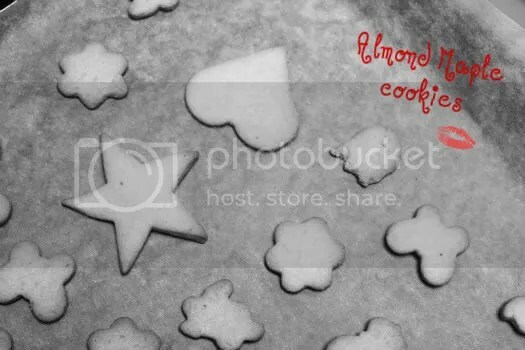 The cookie recipe is a really versatile one. 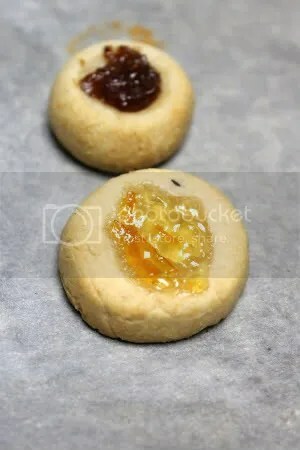 To up the ante you can always dip it in melted chocolate, sprinkle some icing sugar on top or convert it into thumbprint cookies that have jam centres.